Ticket ($10) available at the door. On Oct. 16, a flood rampaged through the Highland Lakes, causing damage to more than 1,700 homes. Our community has come together to help out our friends and neighbors in many amazing ways. We would like to continue to help those in need back in their homes. 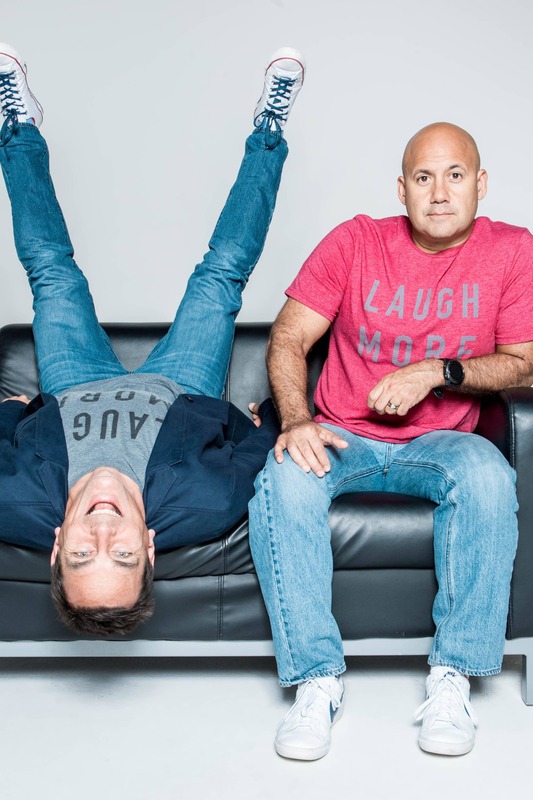 On Thursday, November 29th at 7:00 PM we are hosting a Night of Laughter that will feature Coffey Anderson and The Skit Guys. All proceeds and donations will go to the Highland Lakes Legacy Fund to support uninsured homeowners in the Highland Lakes area affected by the flooding. 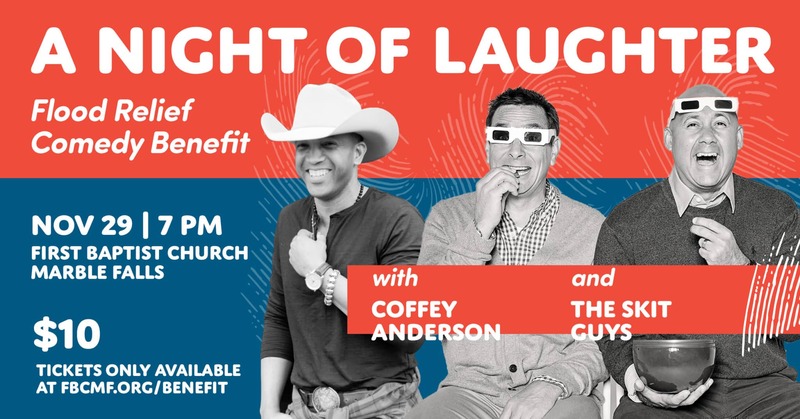 This will be a great night to raise money for our neighbors! 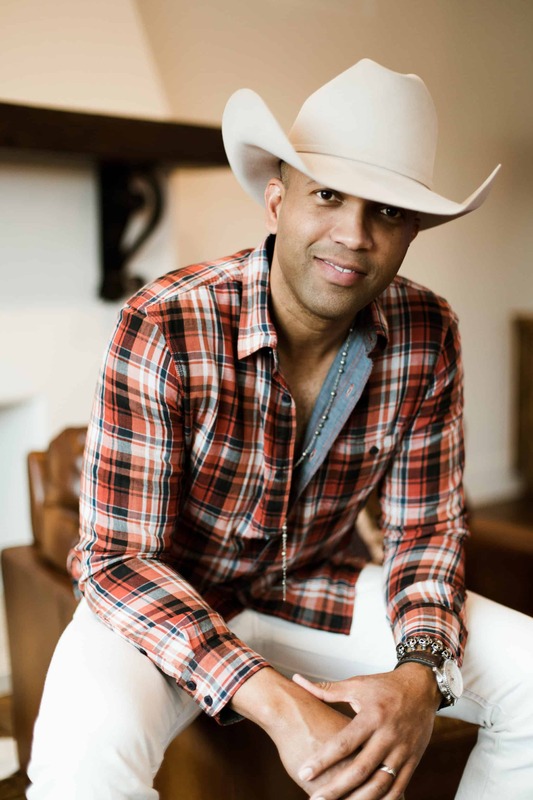 Although generally billed as a country artist, Los Angeles-based singer/songwriter Coffey Anderson has made his career by offering a diverse mix of country, pop, R&B, hip-hop, and worship music. After gaining national attention in the late-2000s through his YouTube channel and becoming a finalist on NBC’s Nashville Star, Anderson began a successful independent recording career combining his unique country-pop mix with occasional CCM releases, managing a successful crossover attempt and eventually breaking into the mainstream with 2016’s Boots and Jeans, which contained the patriotic hit “Mr. Red, White, and Blue.” A string of subsequent singles led to his 2018 follow-up, Cowboy Style.